Ballistic Shield (IIIA) "Active Shooter-3" » Protective Solutions, Inc. 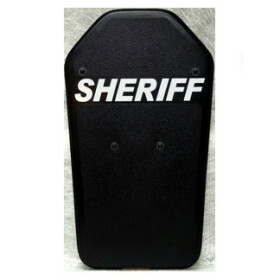 Designed for deployment in-or-out of the vehicle, the Active Shooter-3 (AS-3) NIJ Level IIIA Ballistic Shield is custom designed and will stop multiple hits from handguns up to .44 magnum. Dimensions - 16" x 28"